Last December, Fut Mex Nation teamed up with Global-Soccer-Network to produce a statistical comparison between Liga MX, the English Premier League and German Bundesliga. That article, which can be found here, illuminated many fascinating contrasts between Mexico’s top flight, and its equivalents in England and Germany. One of the most interesting findings from the study was evidence for a slower tempo and speed of play in Liga MX. Whilst possession figures were very similar for England and Germany, Liga MX teams made less passes and held the ball for fewer minutes than their counterparts in the EPL and Bundesliga. This, combined with passing accuracy and average pass length being almost identical across the three divisions, provided evidence for a slower tempo in Mexico. The average Liga MX team was found to hold possession for 6.6% less time than a standard Premier League or Bundesliga side. As passing accuracy was 83% across the divisions, there were two possible explanations for this trend. Either Liga MX games had more time when the ball was on the pitch but not in possession of either side, which seems quite unlikely, or the ball was in play less than it was in the EPL and Bundesliga. Therefore, the suggestion was made that the speed of a game in Liga MX, e.g. how long is taken over set pieces, throw-ins, etc…, is around 6.6% slower than an EPL or Bundesliga match. Whilst average possession time was 6.6% less in Liga MX, 12.5% fewer passes were made in Mexico’s top flight when compared to the average across the Premier League and Bundesliga. 6.6% of that 12.5% can be explained by the slower speed of the game, leaving 5.9% left. As the average pass in Liga MX is the same length and the same accuracy as the average EPL or Bundesliga pass, the only explanation for fewer passes being made is that the ball is moved around slower. Now, we have more data to back up the claim that Liga MX has a slower tempo than the English Premier League and German Bundesliga. Total distance travelled across the three divisions has been compared. The data for Liga MX covers the regular part of the 2017 Clausura, the EPL stats are taken from the whole of the 2016/17 season (after week 33), whilst the Bundesliga figures used are from just game week 32. Liga MX teams covered 7.74% less distance than English Premier League sides. Liga MX teams covered 9.47% less distance than German Bundesliga sides. Part of this difference stems from the slower speed of play (ball being in play less) in Liga MX. Players are highly likely to cover less distance when the ball isn’t in play. But that is unlikely to explain the whole of the difference. This data appears to further evidence that when the ball is in play, Liga MX has a slower tempo when compared to the English Premier League or German Bundesliga. 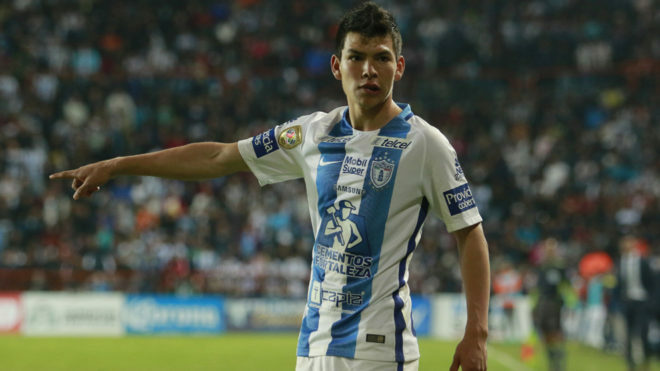 Hirving Lozano has averaged just 7.5 km covered per 90 minutes this season. The average in the EPL is over 10km per game. This could suggest that “Chucky” will struggle to make the move to Europe. Difficult question. One potential reason is that the quality of players, in this case physical quality, in Liga MX is lower. The average Liga MX player may not physically be capable of covering as much distance per match as someone in the EPL or Bundesliga. 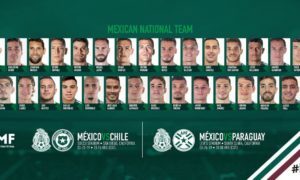 This could be a result of a lower standard of physical training, sports scientists and dietitians available in Liga MX. Tactics, or quality of coaches, may also play a role. 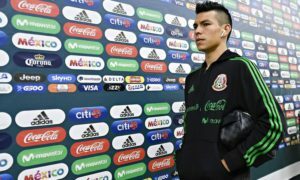 Pressing, which requires covering huge distances, has become a dominant ideology within the highest level of European football, and whilst it’s developing in Mexico, particularly through coaches like Matías Almeyda and Javier Torrente, it could be argued that it isn’t as developed. However, the main cause may have nothing to do with the ‘quality’ within Liga MX. Instead, the conditions in Mexico may be the best explanation of the lower distance covered per game. 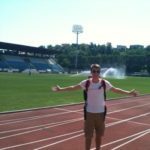 With the exception of a few weeks at the beginning and end of the seasons, Premier League and Bundesliga teams don’t have to deal with heat whilst playing. Water breaks, which are only taken when the temperature is above 32 degrees (C), around 90 Fahrenheit, are seen fairly often in Liga MX. Playing a high-tempo, high-pressing game isn’t easy in this level of heat, even if you’re from Mexico and used to playing in such conditions. Altitude is another vital factor. A large number of Liga MX teams play their games at altitude. For example, Mexico City, home of Club América, Pumas and Cruz Azul, sits 2,250 metres (7,381 feet) above sea level. At this altitude, effective oxygen is around 25% lower than it is at sea level. For comparison, the highest point in England is just 978 metres (3,208 feet) above sea level. Eight EPL clubs play on the coast, with a further six based in London, which isn’t far from the sea, and has a low altitude. Heat and altitude undoubtedly limit physical capabilities of footballers. Taking the heat and altitude in Mexico into account, travelling 7.74% less ground than players in the EPL actually sounds quite impressive. 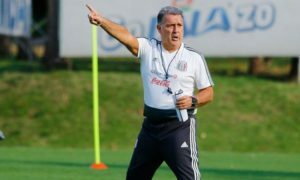 Heat, altitude, and perhaps quality of players, coaches and other staff members within Liga MX means that the average Liga MX player covers less distance than their counterparts in the English Premier League and German Bundesliga. This is both proof, and a cause, of a slower tempo of football in Mexico’s top flight when compared to the EPL and Bundesliga. Some may also see this as evidence that the standard of football within Liga MX is worse than the Premier League and Bundesliga, the two most watched football leagues in terms of attendance figures. However, covering less ground is potentially a positive for producing entertaining soccer. As footballers have become fitter and the pressing game has developed, the game has changed. Players receive less time on the ball, and less space to play in. Flair players have found it more difficult to make their mark on matches, with many describing the old role of a ‘number ten’ or ‘enganche’ as being gone from football. With a slower tempo and less distance travelled, Liga MX still offers opportunities for flair players, who can be so entertaining, to shine. Many find Liga MX more enjoyable than any other division on the planet, as shown below. It’s all a matter of taste. 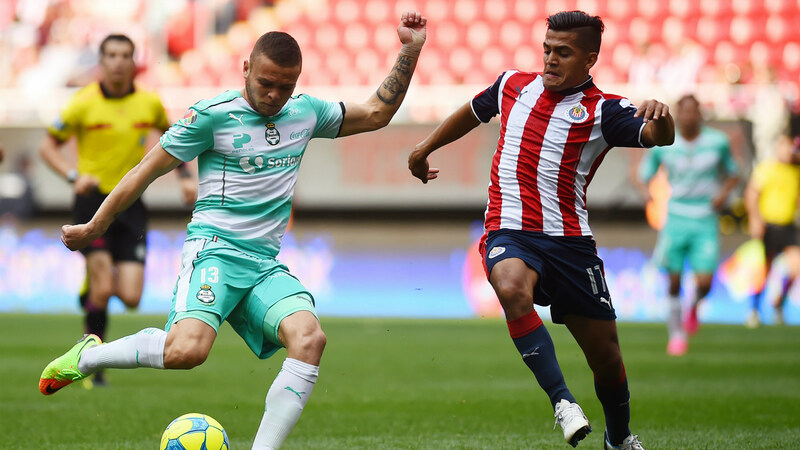 Forgetting 'quality', is Liga MX your favourite (or most entertaining) league to watch?